Related Articles: Dyson Vacuum Cleaner Reviews, SEBO Vacuum Cleaner Reviews, Electrolux Vacuum Cleaner Reviews, Miele Vacuum Cleaner Reviews. For those who appreciate the freedom that comes with cord-free vacuuming, we've compiled a list of cordless vacuum cleaner reviews from Dyson, Electrolux, and Eureka. With so many cordless vacuum cleaners to choose from, we are certain there is one that will meet your needs. If you would like to find out more about these or other vacuum cleaners we offer, please give us a call at 1-866-972-8227. The Dyson V6 cordless vacuum cleaner is powered by Dyson's digitally-controlled V6 motor, which creates the strongest suction available in a cordless vacuum cleaner. For easy cleaning from floor to ceiling, this stick vacuum's center of gravity is located toward its handle. 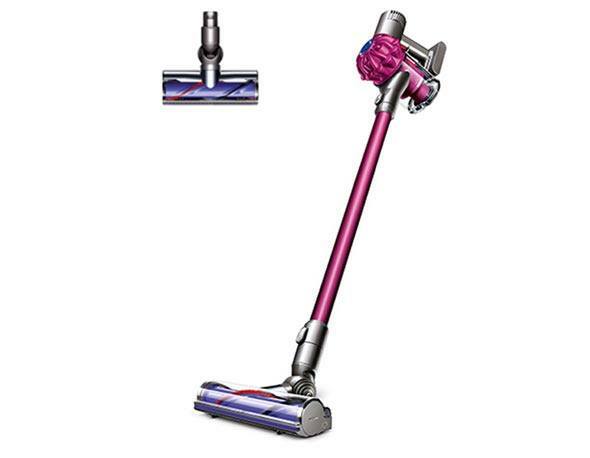 On a single charge, the Dyson V6 cordless vacuum offers up to 20 minutes of continuous suction power. "This is the perfect vacuum for tile, wood AND carpet. 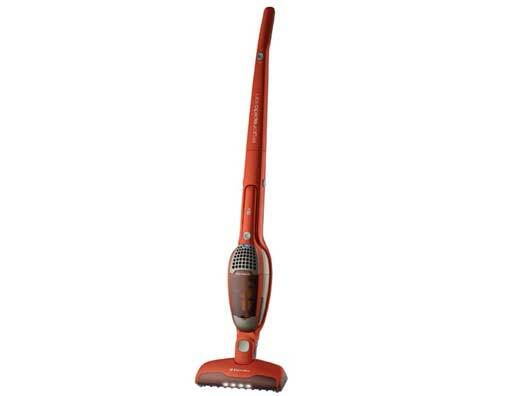 Cordless, large brush head and you can easily clean up high and take out to the car. I LOVE this vacuum! You have no idea that your house is dirty until you see the dust cup full of dust bunnies! I use it daily for quick clean ups and for whole house cleaning. Get this Dyson." -Melanie702, Dyson.com user. The suction in this Dyson V6 Mattress handheld vacuum cleaner is strong enough to lift dust mites, dead skin cells, dust and other allergens from your mattress. Its 20 minute continuous run time gives you ample time to vacuum your mattress and other surfaces before this model needs recharging. This handheld vacuum cleaner comes equipped with a HEPA filtration system that captures up to 99.97% of particles down to 0.3 microns in size. "I highly recommend this V6 Mattress for the following reasons: HEPA filtration!! High suction, easy to use, all (newer) Dyson attachment tools can be used, Very effective (wait until you see the ick removed from your mattress), the on/off trigger has a light touch and is very easy to keep engaged, and lastly it's aesthetically pleasing. I love the white and teal color scheme. Also, the above floor cleaning possibilities are huge.. I clean the furniture, drapes, dust tables, clean knick knacks and it does a great job cleaning the interior of the car! I mostly appreciate the HEPA filtration, with my asthma and allergies, I can breathe easy and don't sneeze while vacuuming. I (honestly) highly recommend the V6 Mattress!" -HonestJoe68, Dyson.com user. 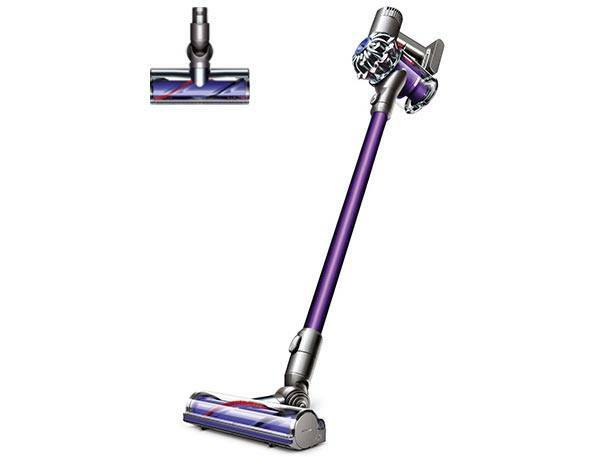 The Dyson V6 Motorhead cordless vacuum cleaner's direct-drive cleaner head provides as much as 75% more cleaning power than a standard Dyson V6 cordless vacuum cleaner. Dyson's 2 Tier™ Radial cyclone technology works to both increase airflow and capture fine dust as you vacuum. 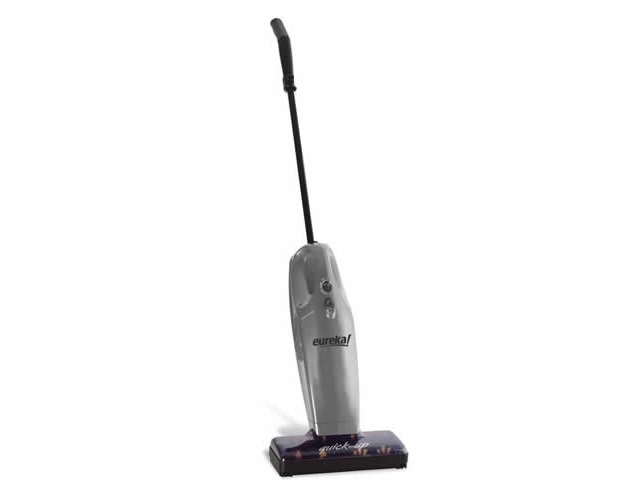 This model comes with specialized power heads to clean both hardwood floors and carpets with ease. 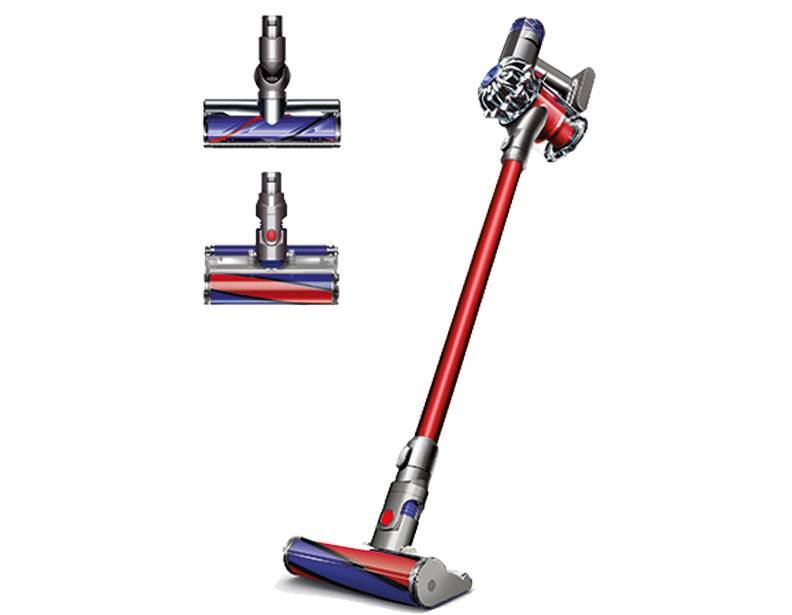 For tougher messes, the Dyson V6 Animal cordless vacuum cleaner offers a "max mode," which increases suction power. 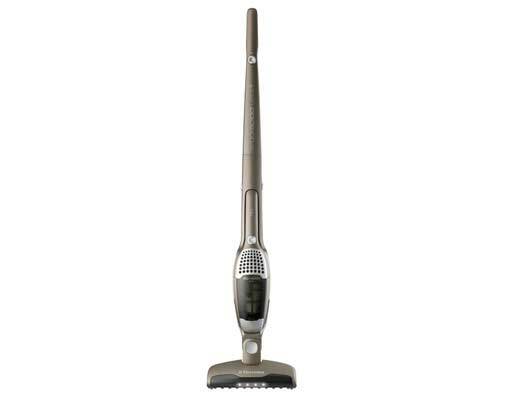 Its direct-drive cleaner head affords you both powerful cleaning capability on both carpeting and hardwood floors. For handheld cleaning of counter tops, car interiors, drapes, and more, this vacuum's wand easily detaches. "This little machine out cleans my DC25 Animal and DC35 MultiFloor Cordless. I can't believe how much MORE this little beauty picked up. It is smoother, quieter and very light ~ user friendly in every way. The longer use-time is a major benefit from my DC 35 Cordless. Wish it was long enough to do my whole house! I do my house in stages which is not a bad idea either. Thanks Dyson!" -OsmOsm, Dyson.com user. 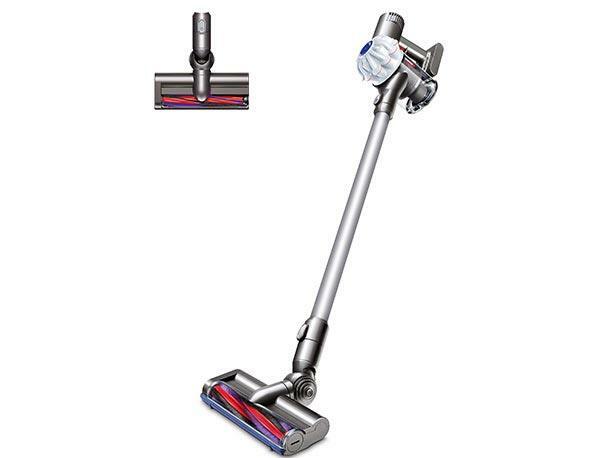 The apex of cordless vacuum technology, this Dyson V6 Absolute cordless vacuum cleaner features a direct-drive cleaner head, 2 Tier™ Radial cyclone technology, and up to 20 minutes of strong, continuous suction power. Its efficient post-motor filter works cooperatively with its cyclone technology to increase both air flow and the capture rate of microscopic particles. 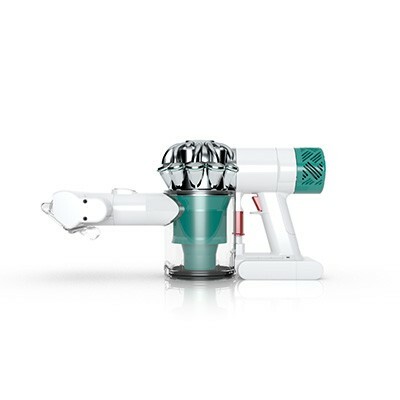 For incredible suction power, the Absolute uses Dyson's 10,000 rpm Digital V6 motor assembly. "This is powerful, lightweight and gets into the little areas, like under our credenza and coffee table. I love the fact that it comes with 2 cleaner heads. We have 3 German Shepherds with about 60% of our house having hardwood floors. The soft cleaner head does a great job with picking up dust and hair off the hardwoods while the other cleaner head does a wonderful job on our large rugs and carpeted areas. I highly recommend this. Powerful, stylish and with great engineering." -Chris01133, Dyson.com user. Featuring a soft roller and direct drive cleaner head, the Dyson V8 Absolute cordless vacuum cleaner is perfect for vacuuming smooth floors and pile carpeting. 40 minutes of fade-free suction is powered by a strong lithium-ion battery. Comes with a generous supply of attachments to match any cleaning situation. The elongated crevice tools gets in-between tight spaces while the soft dusting brush gently buffers away debris from keyboards. "Have been using the V6 for about 6 months. The V8 is quieter, cleaner (no touching the bit to clear out debris like the V6), floor rollers seem to track better and pick up more debris than the V6. This is the machine I was hoping the V6 would be. Just awesome! - FishWI, Dyson.com user. *Customer reviews taken from their respective product pages at Dyson.com. The Electrolux ErgoRapido Ultra+ EL1022A 12 Volt vacuum cleaner comes equipped with a state-of-the-art crevice tool and upholstery tool to easily clean all the nooks and crannies in your home. Its motorized brushroll makes this model an ideal stick vacuum for cleaning all types of bare flooring. Thanks to its quick charging time and bagless filter system, this handy vacuum cleaner is always ready to clean whenever you are. The LED headlight on the Electrolux ErgoRapido Ion EL1030A illuminates the dirt in its cleaning path to clearly show you which spots need attention. Its powerful 18 volt lithium ion battery affords you a long run time (up to 30 minutes on normal speed) and charges four times faster than others in its class. 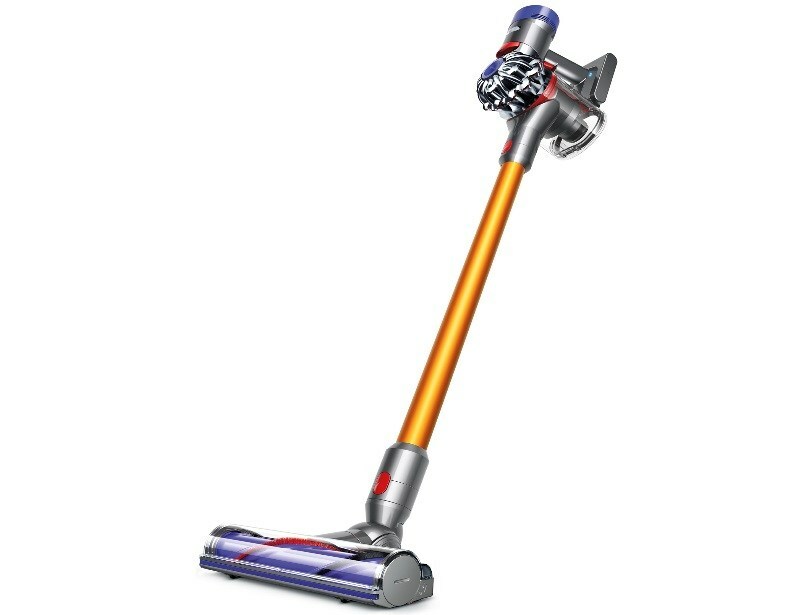 This powerful battery also gives this stick vacuum suction power that is almost comparable to an upright vacuum cleaner. The EL1030A's 2-in-1 design also allows you the convenience of using this vacuum cleaner as a hand vacuum for cleaning above-the-floor surfaces around your home. 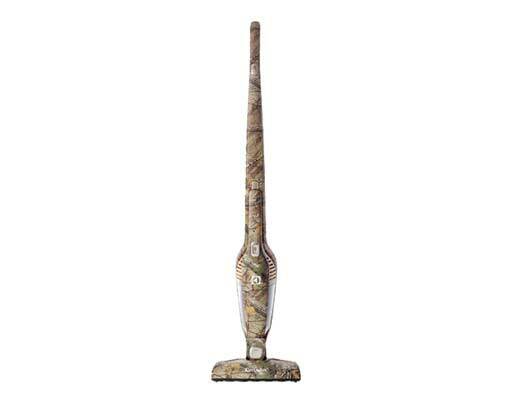 For the outdoorsy type, this Electrolux Ergorapido EL2003A stick vacuum cleaner comes in dressed in a Realtree Xtra® camouflage print. Its swivel head maneuvers easily around furniture and into corners for easy cleaning from room to room. This limited edition vacuum cleaner utilizes cyclonic technology to move dust directly into its dust cup, helping to minimize filter clogs and to maintain maximum suction power. 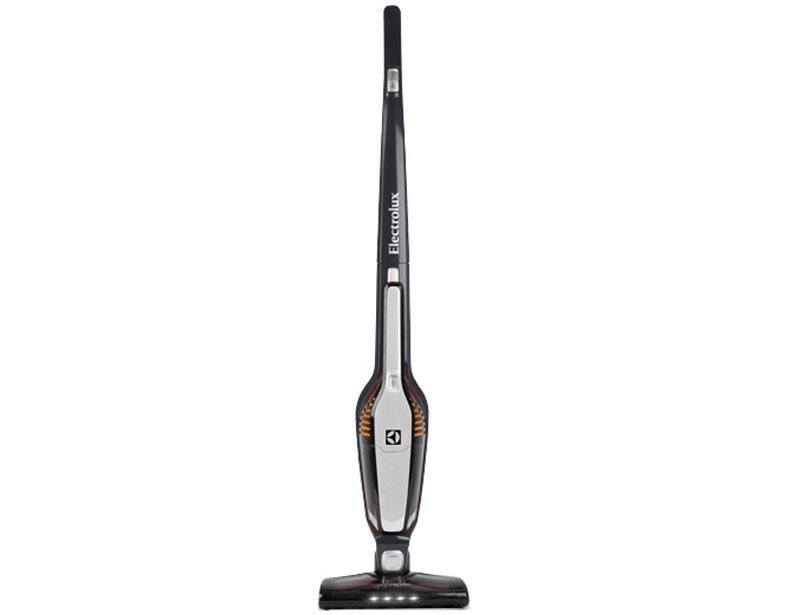 The Electrolux ErgoRapido Plus Brushroll Clean vacuum cleaner offers a 30+ minute run time on a single charge. A shear button on its head removes any hairs or debris that have entangled your brushroll to restore maximum spinning capabilities. When your vacuuming is done, this vacuum cleaner and its attachments store easily on its charging stand. 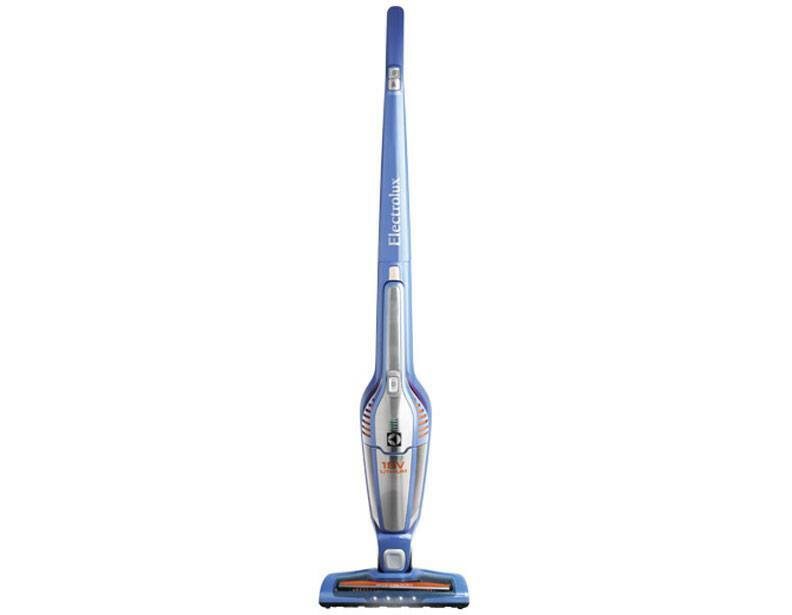 The 18 volt lithium ion battery in this Electrolux Ergorapido Power Ion EL2040A gives you up to 35 minutes of continuous vacuuming time on a single, quick charge. This vacuum cleaner's swivel neck offers easy maneuvering into corners and around furniture legs. For added versatility, the EL2040A's suction unit doubles as a hand vac for easy cleaning of upholstery, kitchen counter tops, car interiors, and more. This Eureka 96JZ cordless stick vacuum cleaner easily converts to a hand vacuum for added versatility, and to make light work of cleaning car interiors, upholstery, kitchen counters, and more. A clear brushroll window allows you to confirm at a glance that the brushroll is rotating free and unobstructed. 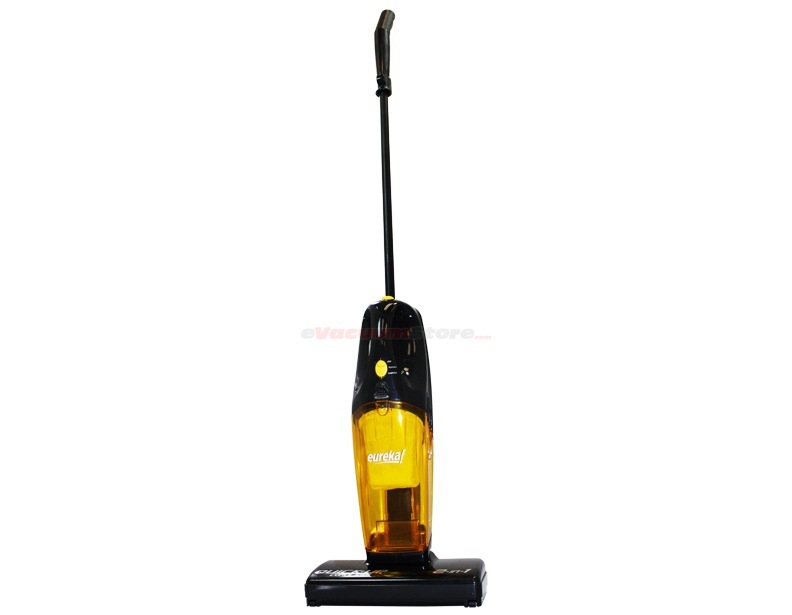 For easy storage, this stick vacuum cleaner is free standing, and is guaranteed to remain upright when not in use. Weighing in at only 4 lbs., Eureka Quick Up Cordless 96 2 in 1 vacuum cleaner has the cleaning prowess of a full-size vacuum in a light and convenient 2-in-1 cordless stick configuration. A brushroll swtich allows you to turn the brushroll on or off to clean different floor types. The Quick Up maneuvers smoothly across both bare floors and carpeting for a leisurely vacuuming experience.